Marijuana Mythbusters » Cinco de Mayo!! Green Dragon Recipe!! « A few things you need to know about hemp. 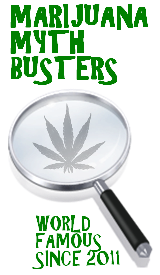 This entry was posted by Mythbuster on May 5, 2011 at 2:42 am, and is filed under General Ganja. Follow any responses to this post through RSS 2.0.You can leave a response or trackback from your own site. Thankyou for this fantastic post, I am glad I found this website on yahoo.